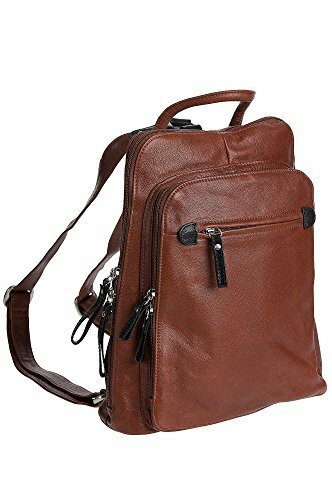 You'll never run out of places to store your essentials and business items in this fine leather backpack that zips closed with two-way zippers. A rolled leather handle lets you hang the bag or hand carry it, while adjustable leather straps offer comfortable backpack carry. Nylon lining. 10.5" W x 12" H x 4" D. Weight: 1.5 lbs. Made in China. Closes with 2 way zippers. Rolled leather handle. Adjustable leather straps. 10.5" x 12" x 4"